The 1.6% figure for England was slightly higher than the 1.4% seen in 2009 when the study was last carried out. Figures were also given for seat belt usage with a minority 1.8% of car drivers not wearing them across England and Wales. This rose to 4.7% for all drivers. “These figures are a worry. In 2013 the use of a mobile at the wheel was a factor in 22 fatal accidents and this is likely to be underreporting of the true figure. “Research for us shows that texting whilst driving impairs reactions more than being at the drink drive limit. “The disproportionate number of van drivers using mobiles appears to highlight the time pressures many are under and their likely use of mobile devices to check pick up and drop off destinations. “The big concern is that with more and more technological and visual distractions in our lives and in our cars the risks will increase. In 2009 an RAC Foundation-commissioned report from TRL showed that texting whilst driving slowed drivers reactions times by as much as being at the drink-drive limit. 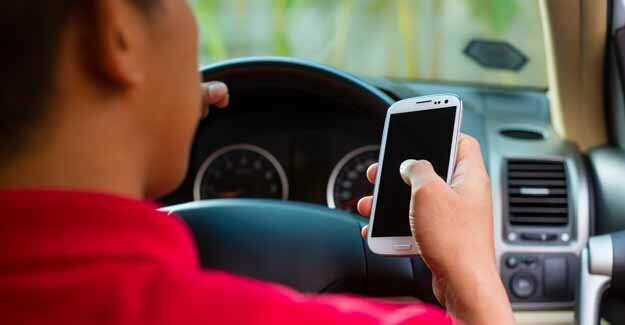 “In December 2003, legislation was introduced making it illegal to use a hand-held mobile phone whilst driving or riding a motor vehicle on the road. Drivers caught using a hand-held mobile phone whilst driving may be issued with a fixed penalty notice which will result in three penalty points on the driving licence and a fine of £100. If a case goes to court, the driver or rider may be disqualified from driving or riding.